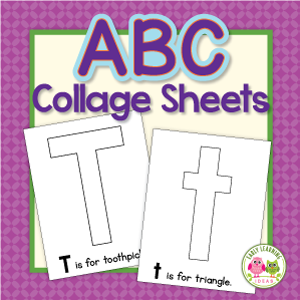 Use pictures of kids or familiar things and places to make an alphabet book for your home or classroom. 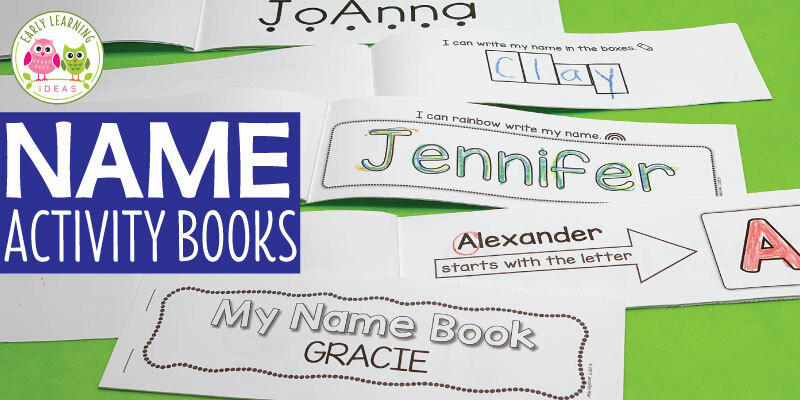 The custom book will become a favorite that kids will read over and over. Additional ideas for thematic books and books about classroom routines are included. Alphabet and word books are much more exciting for young kids when the pages are filled with familiar pictures. Here are a few ideas to help you make an alphabet book or word book for your home or classroom. When my son was just learning to talk, I made a word book for him. I took pictures of some of his favorite things and created a little scrapbook for him. We really enjoyed looking at the book together. Now that he is older, the book is a treasured keepsake. In addition to word books, I have also made some alphabet books for kids. You can also easily make some homemade books for your home or classroom. You can make alphabet books, thematic books, books about field trips, books illustrating different routines/procedures, etc. What kind of book do you want to make? The first thing that you need to do is determine what method you will use to create your custom book. There are many ways that you can assemble an alphabet or word book. Here are just a few ideas. Mini-photo album -An easy way to make an alphabet book is by using an inexpensive photo album. Little photo albums (brag books) are becoming more difficult to find these days. Look for the inexpensive little photo albums at the dollar store. Scrapbooks – If you are a scrapbook maker, you can create a word book by using a small scrapbook. You can make your own scrapbook with pieces of construction paper or card stock. Binder and page protectors – Print photos on regular paper or photo paper. You can use a program like Powerpoint, Google Slides, or a word processing program to add text to the photos. Slip the printed pages into page protectors and add them to a three-ring binder. Online photo book service – There are several companies that will bind your photos into a nice hardcover book. Check out Shutterfly, Snapfish, Walmart, and Walgreens. Hole punch and binder rings – Print photos of any size. Laminate them for durability. Then, you can punch holes in them and bind them together with a few binder rings. Next, you will need to take or collect pictures for your book. Are you making a letter book? Kids might enjoy getting involved in this activity by helping you find objects for each letter of the alphabet. If you are in a classroom, you can take pictures of objects that kids bring in to share for the letter-of-the week. You can also assign one letter to each child in your class. If you make a book documenting a field trip, you can have kids help you determine the order of the pictures. Let kids help you determine the steps in a process if you are making a book about how to do something (line up, fire drill, dismissal, using a glue stick). You can make a book the good old fashioned way by gluing photos on a piece of paper. In that case, you can write your words on the paper using a marker. If you want to add letters and text directly to photos before printing them, there are several ways to do this. If you order your photo prints online, you can usually add text using their photo editor. I printed the animal photos above and the food pictures below at Walgreens and used their online system to add the text. I was able to change the fonts and color of the font. Here is a little tip for you. They often cut off the edge of the image, so don’t place your type and/or letters too close to the edge. An online photo book service will also give you the ability to add text to the pages during the ordering process. If you are printing your own pages, you can easily add text to pictures by using programs like Powerpoint, Google Slides, or word processing programs like Word. Open a new document, add an image to a page, then add a text overlay on top of the image. Then, move the text box to the correct place and alter the font and color to meet your needs. Once complete, your custom books will be read over and over by your kids. Books about specific routines can help kids understand classroom procedures and processes. I sure hope that you have fun when you make a custom book for your kids. If you like making these custom books for your kids, you may also enjoy the following editable activities that are available in my store. Click on the images below to check them out. That looks like KG Red Hands. I love all of Kimberly Geswein’s fonts….plus they are free for non-commercial use. Love this idea! There are so many fonts to choose from but I love the ones you have chosen. What are they called? Great idea! Especially assigning one letter to each child to get pictures for their assigned letter. Thanks so much for emailing me. I love your ideas and appreciate all your hard work.